Last time, in How to Reach Your Full Potential: First, Take a Good Look at Yourself, we defined “reaching your full potential” as being the best “you” that you can be. Being in your sweet spot where you feel the most fulfilled, the most on-purpose, and where you’re making the greatest difference in the world. Knowing who you are, what you’re good at, and how to maximize that for the greatest good. Identifying your unique talents, skills, gifts and abilities. Clarifying your dreams and goals for the future. Discovering your interests and passions. Reviewing your life experiences: your jobs education, volunteer experiences, major achievements, and major crises. Once you’ve engaged this process and have created your life mind map (see the last post for details if you missed it), what’s next? I believe it is impossible to reach your full potential if you don’t know your purpose in life. Otherwise, you can be busy doing a lot of great stuff, but it really won’t bring you the satisfaction and fulfillment you’re looking for, because it wasn’t the stuff you were meant to do. First, what do I mean when I talk about Life Purpose? Others may refer to it as a mission or calling. It is the overarching theme of your life, which blends your interests, skills, goals, passions, and dreams together. It is built on life experiences of the past, and points you toward your future. And it becomes your guide, and a benchmark, to help you weigh future decisions. Grab your life mind map and look for any recurring or overarching themes in your life and any overlapping experiences or interests. Spend some time thinking about what these recurring or overlapping experiences. What might they mean or indicate regarding your future? Jot down whatever comes to your mind. Identify the highest priority roles you fulfill in your life (for example: at home, at work, at church, in your community). Write down the values and ideals that are important to who you want to be in the future (for example: excellence, continuous improvement, generosity, goal achievement). List the most important long-term goals and achievements you wish to obtain. Remember, you highlighted these when you created your master dream list. Next, summarize all that you’ve written down into a few sentences or one paragraph. You might do it like this: “The purpose of my life is to….” This will be the first draft of your life purpose statement. You can feel free to edit, refine, or synthesize it a bit, then let it sit for a few days or maybe a week. Then come back to it and see if it still feels good and makes sense to you. I have strong written and verbal skills and have had lots of experience in writing for media, nonprofit organizations and for-profit enterprises, and speaking in public. One recurring theme is that I’ve had several career positions that were created for me. Another related theme is that several of my jobs have been with organizations where I started as a volunteer and then was hired for a position. According to the different personality profiles I’ve done, I’m a natural promoter and influencer. I enjoy working as a team, but also enjoy working on my own. My strengths are in brainstorming. creating new things, breaking down complex concepts into more manageable pieces, and promotion. Other points of interest: I’ve been mentored by some very successful and wealthy people. 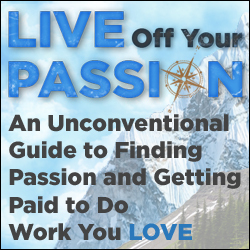 I’m passionate about pursuing my God-given dreams and creating more freedom and fulfillment in my life and work, and I feel called to help others to do the same. I’ve been active in church-based ministries that make a difference in the lives of others. I’ve had a long-standing passion for entrepreneurship. I have a heart for under-resourced people. I view myself as a steward of all the resources that have been entrusted to me (time, money, influence, skill, knowledge, etc.) and I want to invest those resources in the lives of others. Add all that up, and I could summarize my life purpose in this way: To use my God-given communication skills, influence and entrepreneurial spirit to improve the lives of other people, helping them achieve their dreams and create more freedom and fulfillment in their life and work. So, what’s next? How does knowing my life purpose help me reach my full potential? We’ll talk about that next time, when we discuss Step 3 of How to Reach Your Full Potential: Create Your Own Personal Development Plan. Do you have any thoughts or questions about this process so far? If so, please post them in the comments section. Wonderful post – great analysis of discerning one’s life purpose. I’d suggest one additional factor to add to “interests, goals, passions, dreams”: skill. When you combine passion with skill, you create the perfect environment for flow. And spending more time in a state of flow is a good indicator that you’re on the path to fulfilling your life’s purpose. Ami, thanks for your comment and suggestion! I’ve added “skill” to that paragraph, as you recommended. Great content, both inspiring and thought-provoking. For someone who has gone through this process myself I endorse wholeheartedly the importance of living your purpose and investing one’s time in seeking out what that is. As both an analytical business mind and an intuitive type my experience has taught me to follow my heart over my head everytime in leading me closer to my passions and purpose. Just imagine what a matter world we’d all live in if everyone was living their purpose and using their unique talents. If you’re looking to buy these aricltes make it way easier. Piękny post, generalnie to ma sens, jednakże w niektórych kwestiach bym polemizowała.